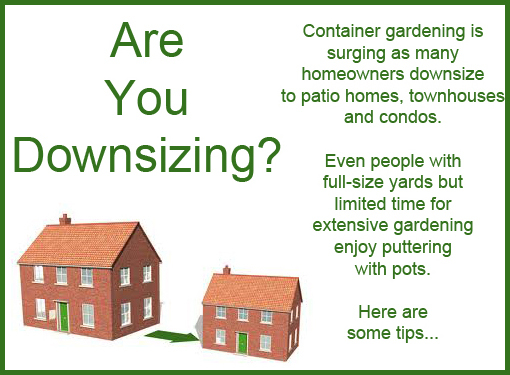 Are you downsizing in this economy? 1. Use a saucer. 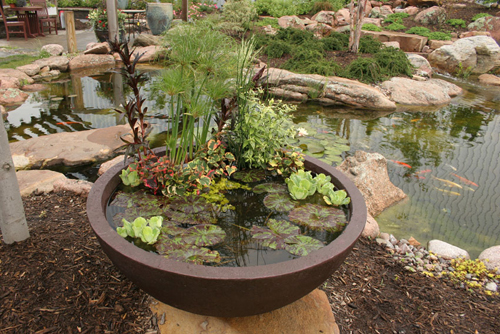 Make sure that it is large enough to catch the amount of water it will take to saturate the plants soil. Too small of a saucer is pointless since it won't be able to do it's job of capturing excess. 2. 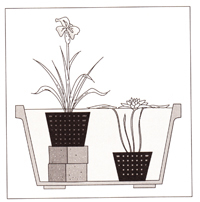 Drop the pot that holds the plant into a larger outside pot that is decorative. This way when you water the inside pot the run-off water will drain into the outside pot and evaporate. Many landscape companies use this technique, especially when planting trees or large bushes inside office buildings. 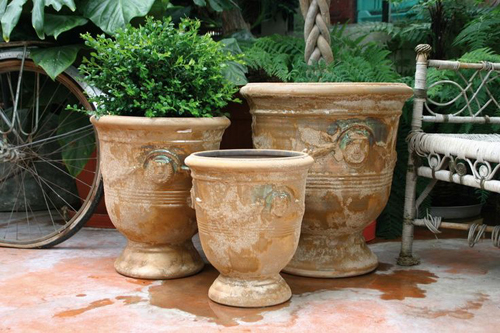 If you need a pot that will breathe the Terra-cotta clay planters are the best. Unfortunately they will break down over time from the chemicals in the soil or fertilizer that is used. 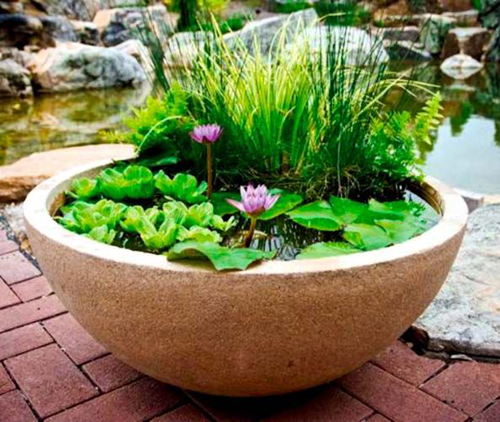 In order to have a planter that will hold up and not break down, it must be made of a clay that is glazed and high fired or concrete, poly resin, sandstone, or fiberglass. These materials repel water and do not let it absorb into them. 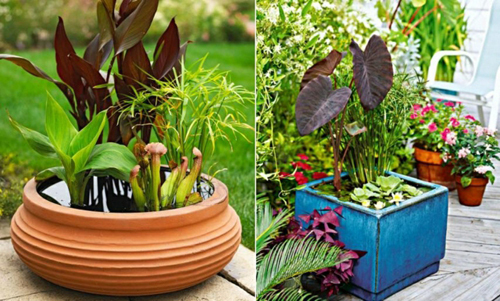 Choosing the correct container is the best step you can take to assure success when planting your landscape in pots. 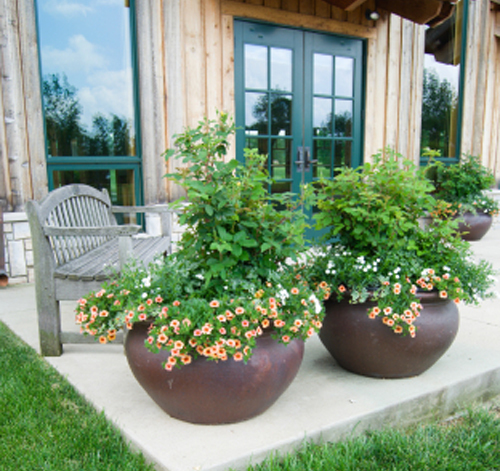 Sun exposure: Make sure where you place the pots is where the plant materials in them can thrive. 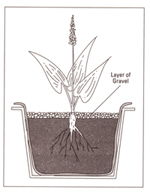 Soil: Always use a lightweight, well draining soil mix with a built in fertilizer is the best way to start. 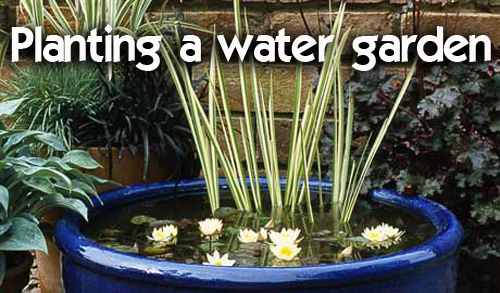 Watering: Know what the plants demand when it comes to water and make sure to provide them with their specific needs. 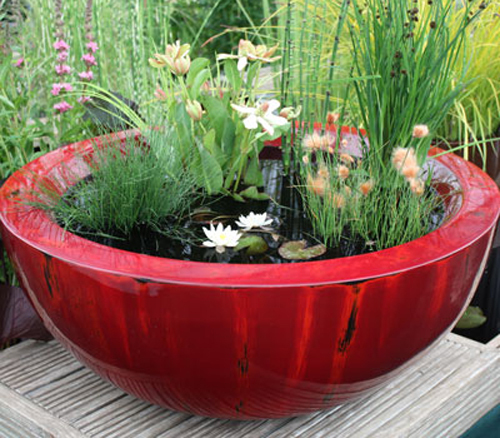 It is ideal to select pots that require the same watering schedule but that is not always possible. Plants for containers: Herbs, cacti & succulents, citrus, veggies and flowers are all great choices and they offer unique ideas for displays. Try blending them together for the most outstanding arrangements. Whether you have a balcony, courtyard, or patio begging for some color, potted plants are sure to transform even the smallest of spaces! Everybody's growing these trendy plants - but not like this. We saw this article in Fine Gardening Magazine featuring Debra Lee Baldwin and thought we would pass it along. It is a easy and great idea. Enjoy! A succulent topiary suggests an evergreen tree yet makes viewers do a double take. It's a container garden with a twist: a moss-filled cone planted with eye-catching, low-water, easy-care succulents. 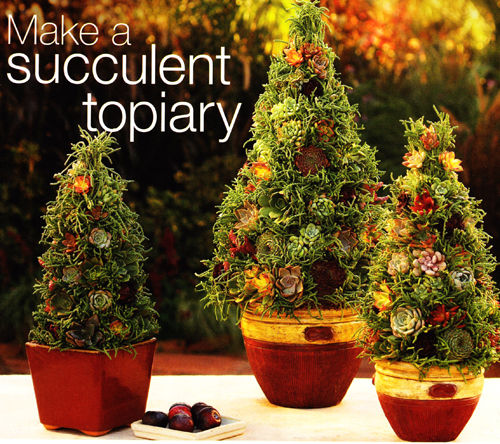 This topiary offers a festive and engaging way to expand your garden art. Your palette is a wide range of colorful, fleshy-leaved plants with appealing geometric shapes. With widespread demand for succulents, suppliers are increasing availability to meet your needs and satisfy your heart's desire. Here is how to create your own succulent potted topiary. Fill the wire frame with chicken wire or wrap it with rustproof wire to create a small supportive pockets for the succulents. Stuff the wire frame with moist sphagnum moss or a mixture of the moss and potting soil, or line the frame with eye catching succulents, like princess pine. 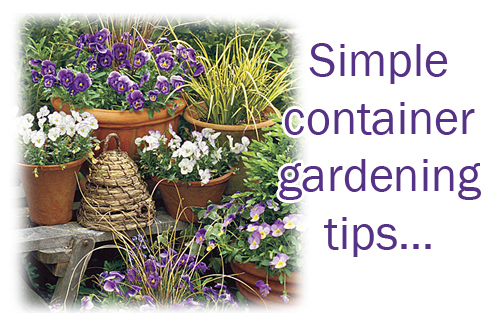 Fill the container with gravel or sand to create a sturdy base. If there is a drain hole cover it with paper towels first to prevent the sand from spilling out. Stab the prongs of the stuffed topiary frame into the sand to secure it. Add the succulents. Use the sharp end of a needle nose wire cutter to poke holes into the packed moss. Insert the succulents cuttings into the holes, and secure with U-shaped florists pins. Tuck moss into any gaps. Let the succulents complete the job. Their leaves contain all that the plants will need to survive. They'll soon put out roots that anchor themselves into the moss. If they don't find soil and aren't fed, they will go into a kind of stasis. If they don't find moisture, they will drain their leaves. Protect your topiary from cold weather. Potted plants are magicians. They can turn hardscape into landscape. 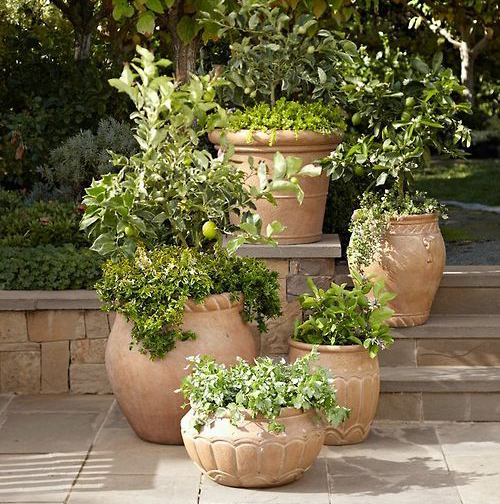 Pots filled with greenery and flowers soften the hard edges of any patio or deck area. They also create the feel of a garden where there's no earth to plant one. 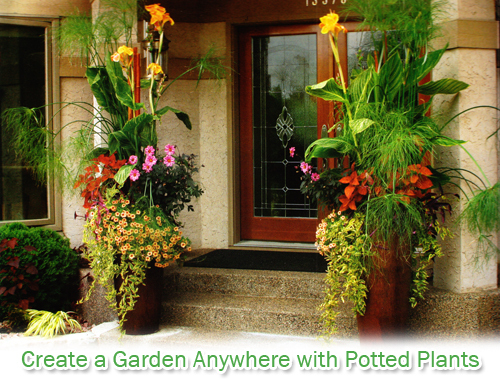 Plants in pots contribute gentle textures, graceful movement, delicious scents , and seasonal changes. They lure butterflies, hummingbirds, and other welcome visitors. 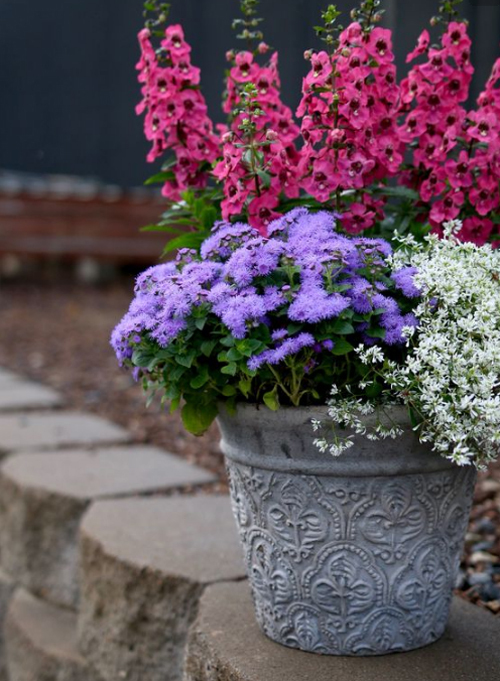 In short, they can add life to urban outdoor spaces and best of all, because container plantings are portable, you can make little changes at any time without distributing the whole scene. Remember all you need is potting soil, outstanding containers, and plants, and a place to display them. How easy is that? The first opportunity to create a contained garden is by your front door. Visitors form their initial impression of your home, so this is the area you would most like to appear welcoming. 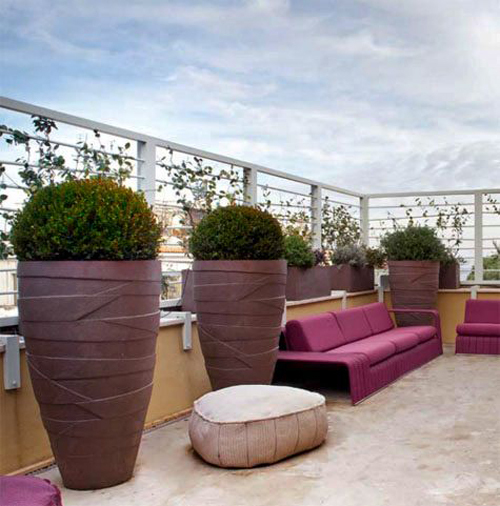 Just a few potted plants is all it takes to change the picture from austerity to hospitality. Then check out the patio areas. Keep in mind that the more garden-like you want a potted plant space to appear, the more important it is to focus on foliage plants. Use vertical space to help create a convincing garden by filling pots with tall plants and grasses. If you have stairs make sure they are wide enough to hold the pot selected for that space. This touch can really add something to a long flight of steps in your garden area. Try to make all your outdoor areas warm and welcoming.